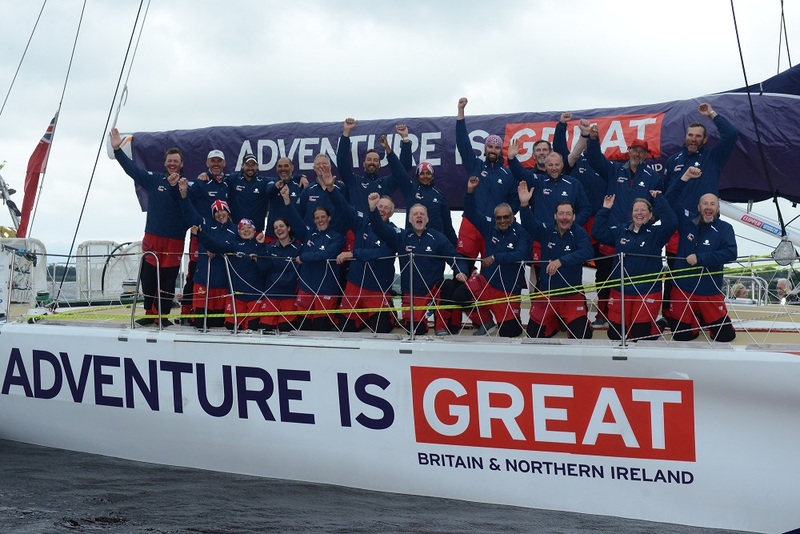 LMAX Exchange has claimed its sixth victory of the Clipper 2015-16 Race by winning Race 12, the LegenDerry Finale. At 1043 UTC, Skipper Olivier Cardin and his crew crossed the line at the mouth of Lough Foyle, just off Greencastle, County Donegal. After a tense battle with Derry~Londonderry~Doire, in which the teams had been neck and neck for the last few days, it was rounding Rathlin Island earlier today that LMAX Exchange established a 2 nautical mile lead, which eventually stretched to 5NM on the approach to the finish. LMAX Exchange Skipper Olivier Cardin said: "It was the last ocean crossing of the Clipper 2015-16 Race but it was actually rounding Rockall which made the game open by beating the wind and dealing with strong tide on the last part. "The last 24 hours were decisive. We managed to take the lead last night in light winds and keep it rounding Rathlin Island. Crossing the finish line first was our goal. All the team was focused on that. It's a great result for LMAX Exchange!" 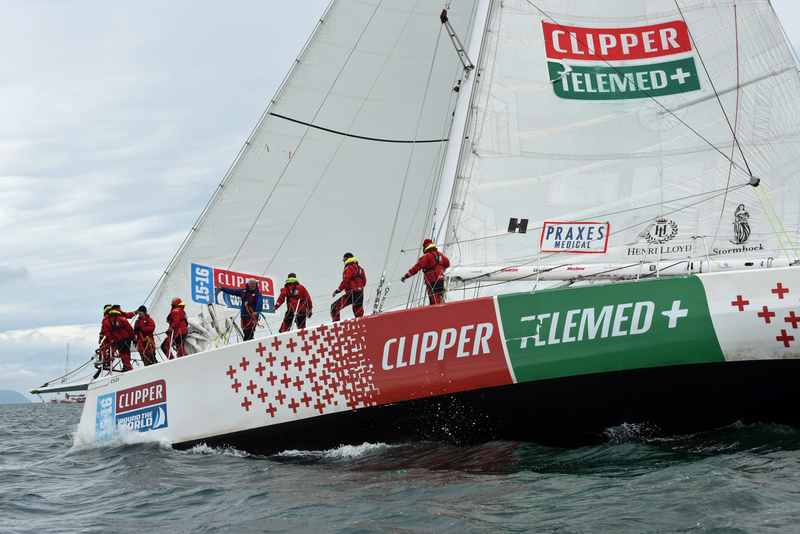 ClipperTelemed+ was third to finish the LegenDerry Finale at 1258 UTC to claim a third podium place in as many races. "It's great to be across the line in Derry-Londonderry. It was some pretty tough racing over the last few weeks, from gale force winds to no wind and everything in between. We are very much looking forward to our welcome and to enjoy the hospitality of Derry-Londonderry," reported ClipperTelemed+ Skipper Matt Mitchell. Click here for the arrival image galleries. Once again, as in the last race to New York, GREAT Britain finished in fourth place. Skipper Peter Thornton and his team crossed the line at 1425, happy that they have gained a couple more points than near rivals in the Overall Race Standings, Garmin. "Job done. Hello Northern Ireland! A solid performance by the crew and a good race for us. Even though it's a fourth (again!) we certainly cant complain. Hats off to LMAX Exchange, Derry~Londonderry~Doire and ClipperTelemed+ who raced very intelligently and deserved their top spots - it could have been any 1,2,3 order. Impressive stuff you guys," Peter wrote after completing Race 12. "For us, with the race nearing it's end in London and final podium positions in the balance, these final three races are all about covering points on Garmin. With that in mind, I am pleased we achieved the aim in this one which puts us in a healthier position for the final two races. However, as with any race, it's not over till it's over so we certainly WILL NOT be sitting back and I'm already looking forward to the next race. One which will be a challenging coastal, close quarters, white knuckle, finely focused, hair pulling, slightly tiring, short and sharp, blast around the top of mainland UK to mainland Europe," he added. Unicef crossed the finish line at 1524 UTC and takes fifth place. 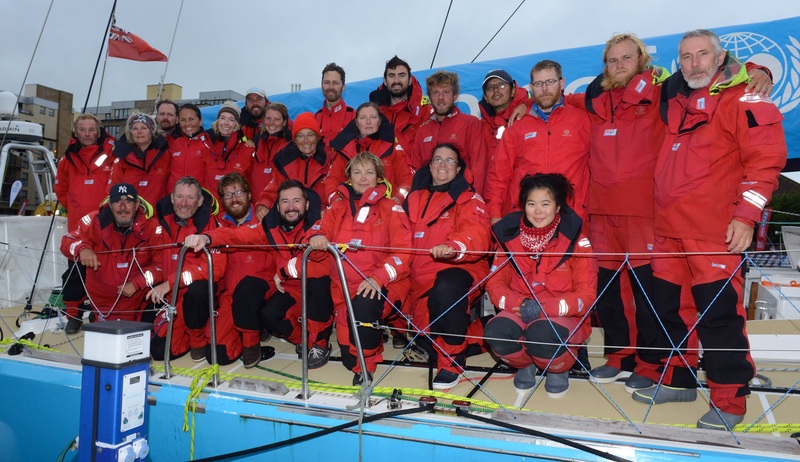 On arrival to port Leg 3, 4, 7 and 8 crew member Thom Fisher said: "Another ocean completed! This was our final ocean crossing and it was a bit bumpy, cold, and typical North Atlantic but that’s ok. We’ve left my home city now, and we’re well over half way back to London, my second home and where the adventure ends. For the latest ETAs to Foyle Marina for the whole fleet, click here. 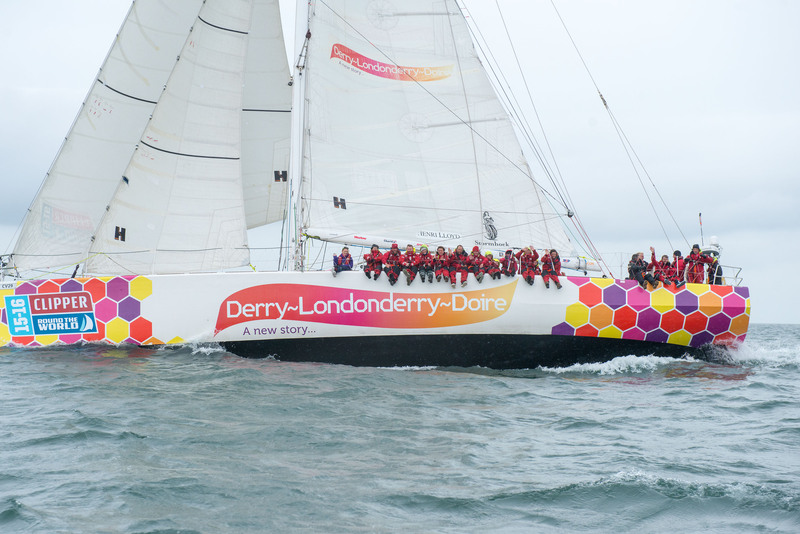 Race 12 Day 15: Can Derry~Londonderry~ Doire hold on for a home port victory?